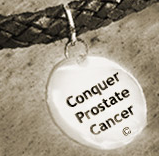 Conquer Prostate Cancer Now: Transperineal Biopsies More Effective? Research suggests transperineal biopsy may be associated with higher rates of cancer. MedWire (10/8, Guy) reported, "Transperineal template-guided biopsy allows better access to the prostate and a higher rate of cancer detection compared with the standard transrectal-ultrasound (TRUS) approach," according to a paper appearing in Prostate Cancer and Prostatic Diseases.